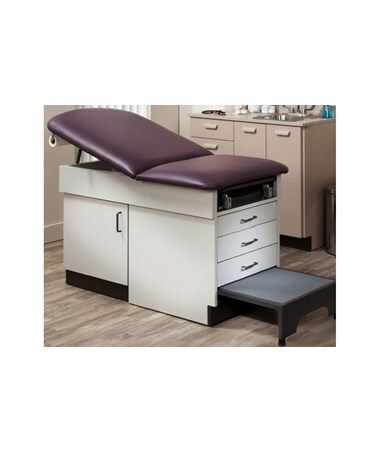 Clinton Industry's family practice medical table is a versatile, durable, economical option for virtually every medical office. 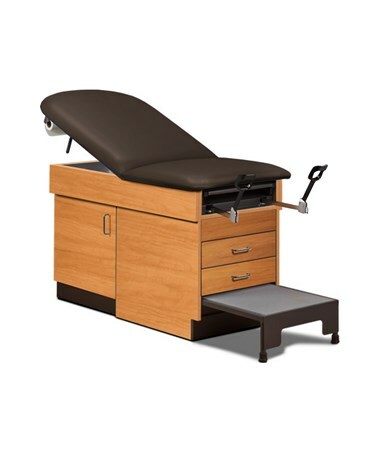 The table features a sturdy, chip-resistant laminate base with an easily accessible overall height of 31 inches. 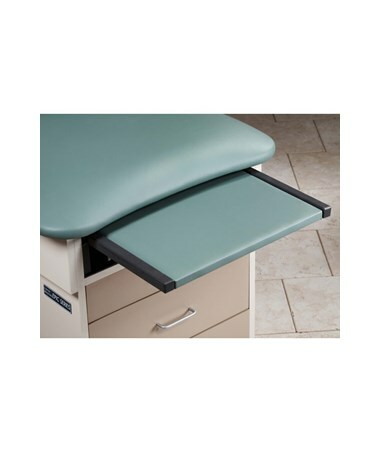 A pneumatic backrest adjusts from either side and the pull out step stool with a safety tread is easily accessible. 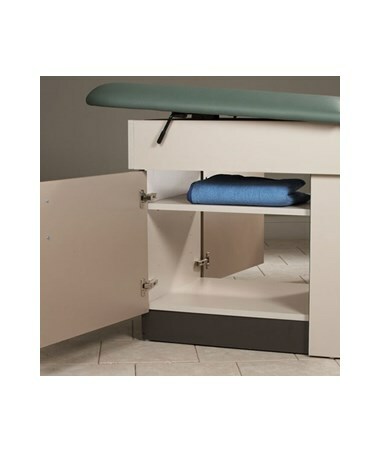 The table's compact design offers cleverly integrated storage space: two Euro-style drawers with steel slides, a pull-out legrest, and pull-out two-position stirrups are built in at the foot of the table, with an option to add a pull-out pan for more space (sold separately); under-table cabinet with shelf, accessible from both sides of the table; and built-in paper dispenser and additional space for paper roll storage under the pneumatic adjustable backrest. 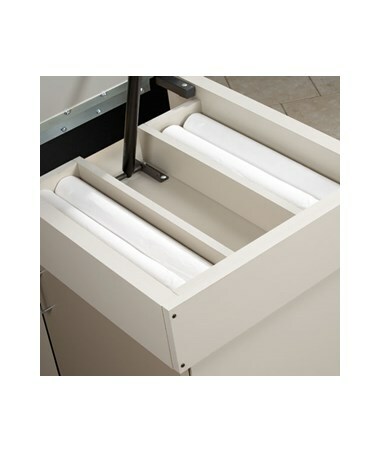 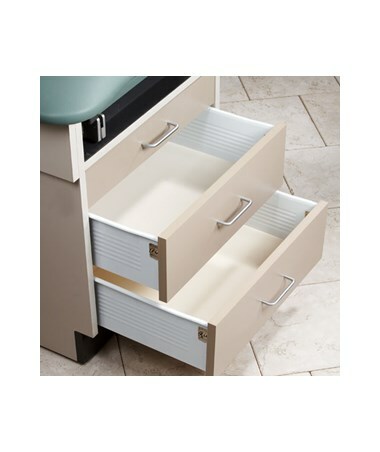 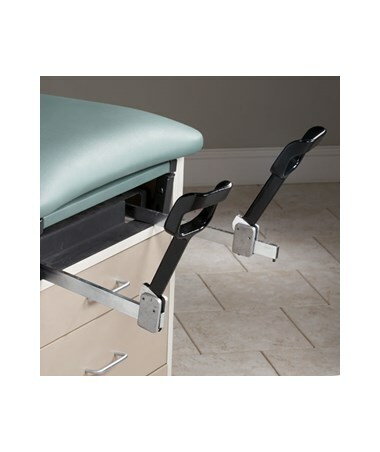 It also features a Table Dispenser, which is designed for 17"-21" wide paper, and silver drawer wire pulls. 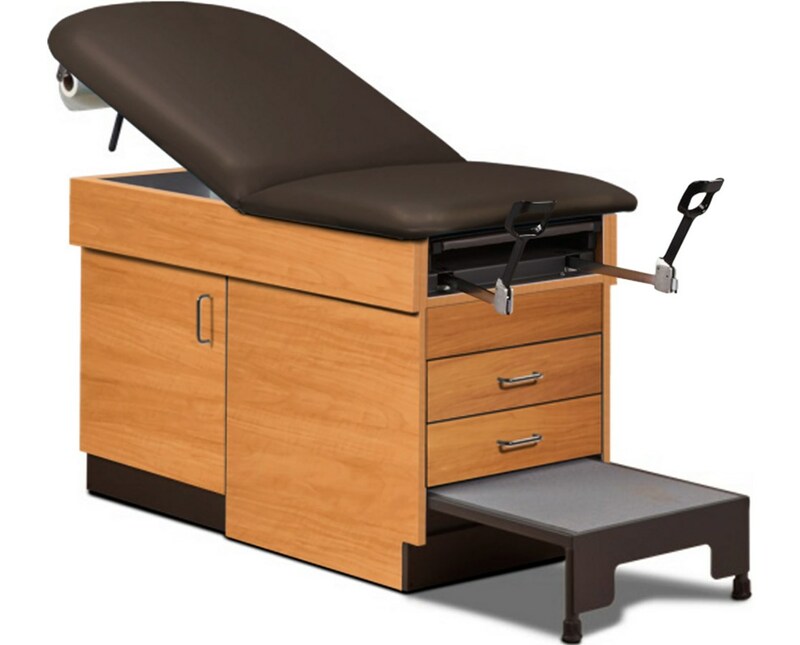 The table is constructed of plywood and laminate panels that are compliant with California CARB II and will support patients up to 400 pounds. 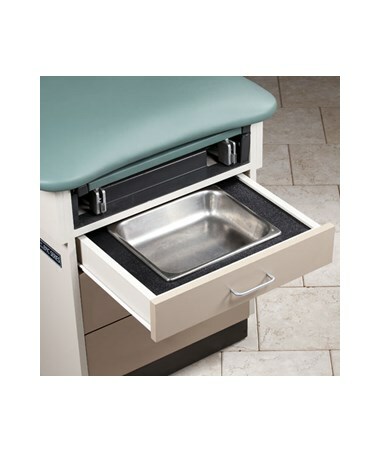 It is protected by a 3-year limited warranty for ultimate customer satisfaction. 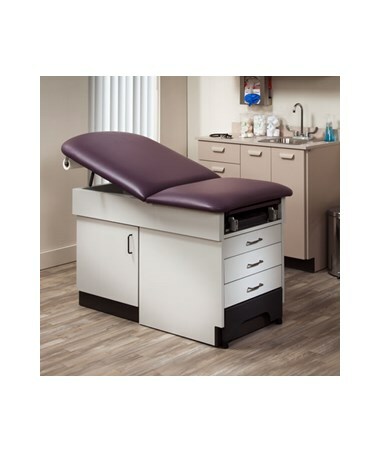 The family practice medical table is available in dozens of color combinations to match every practitioner's tastes and existing decor. 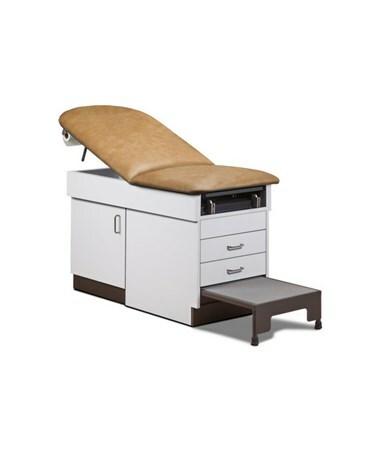 Click "Customize & Add To Cart" to order your customized medical table.